1966 was a very good year for the guitar players that were looking for something different. 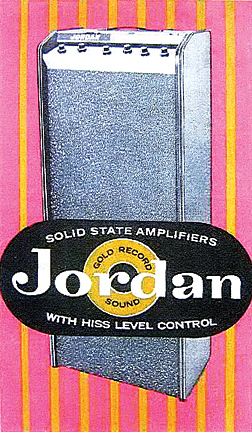 Jordan electronics, a subsidiary of Victoreen, a company built on their line of geiger counters, was formed to make instrument amplifiers and guitar effects. Victoreen’s motto was “The Worlds First Nuclear Company” Boss Tone was their biggest success in the guitar effect area. 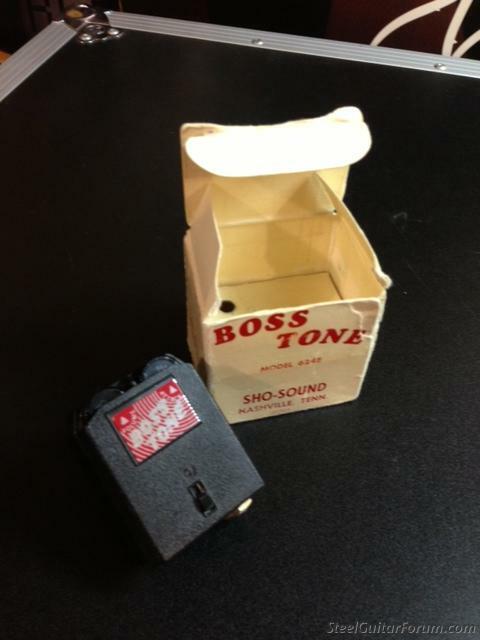 They had already made a line of solid state amps that were referred to by most reviewers only as LOUD! 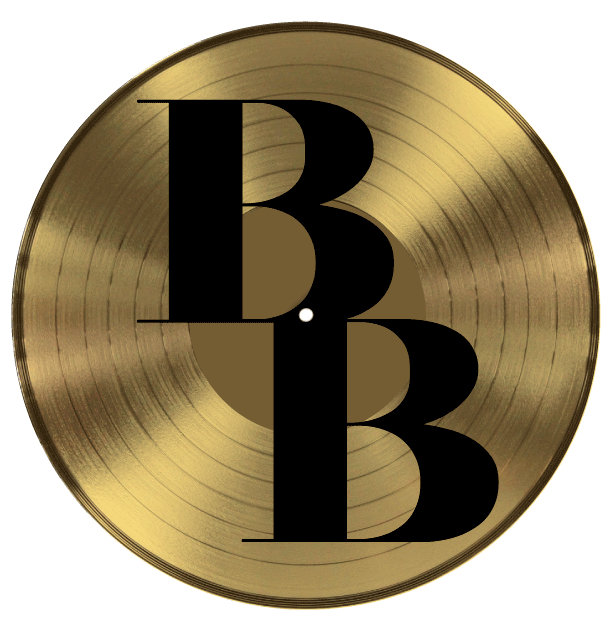 by Norman Greenbaum used the "Boss Tone" guitar effect. The first model has the Alhambra, California address on the back. Early in their production the company moved to Pasadena and that address was stamped on the back through the end of manufacture, approx. 1970. It was a simple design using 2 transistors. One as a voltage gate and the other as a buffer. 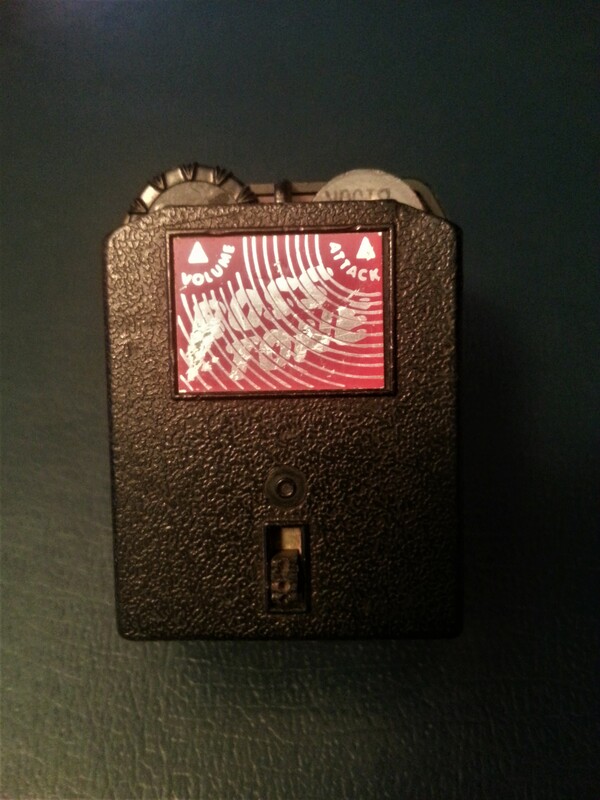 Only a fraction of the size of the other distortion effects on the market and priced to sell at $29.95. 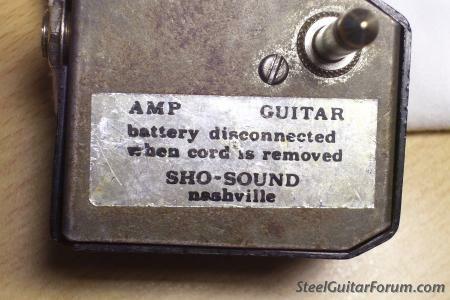 No consideration was made for the popular guitar, Fender Stratocaster, as it plugged directly into the 1/4″ guitar jack and Fender had a recessed output. 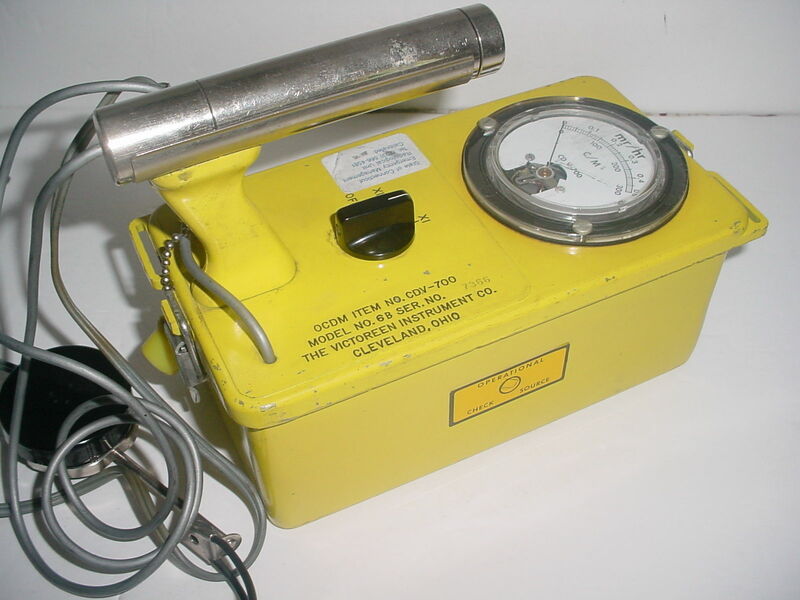 It have no shielding, so many times they were the source for a local radio station bleeding through an amp. What they did better than the others was manufacture true colorful distortion. When properly adjusted, there was nothing on the market that came close. 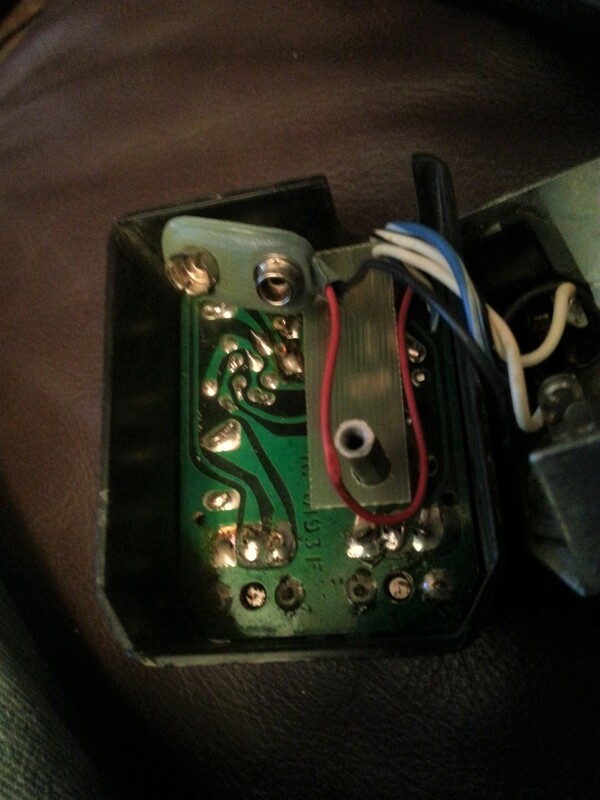 Fat, smooth overdrive that was attached to the guitar so it was easily accessible to the player. 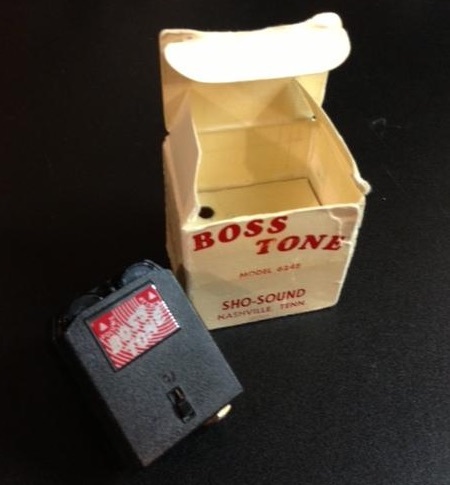 Boss Tone became a must have for pedal steel players. 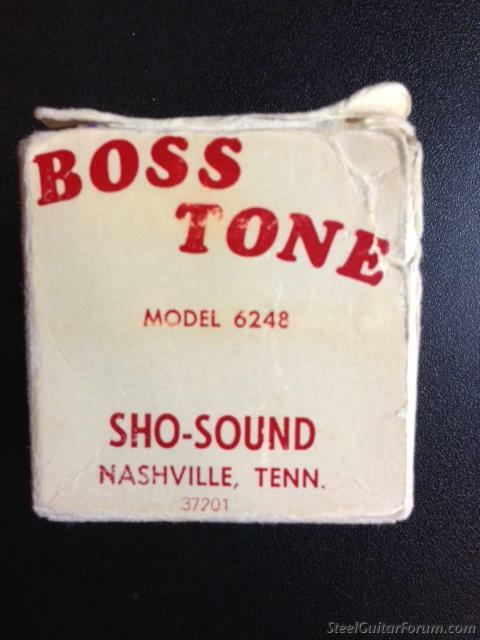 Shot Jackson and Buddy Emmons licensed a version called Sho-Bud Boss Tone. Look carefully at your favorite Nashville type pedal steel player’s rig and you will most likely see one plugged into the output jack! Dan Auerbach of the Black Keys uses a Boss Tone. 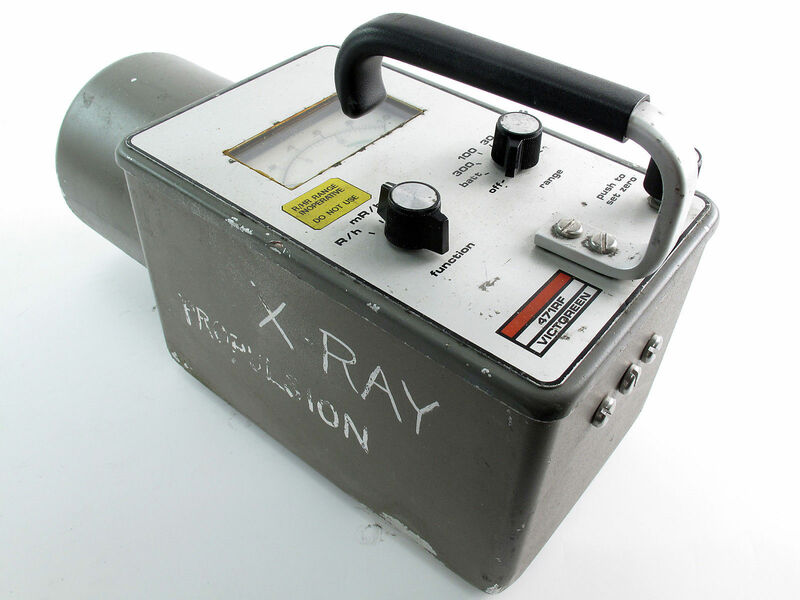 Randy California of Spirit wouldn’t leave home without his. It’s rumored it was in his pocket when he drowned. You can hear it in the first 4 Spriit albums. Many have been converted to a floor pedal and have shielding added. It seems the Stratocaster players don’t want to be left out! The first version had a green circuit board, used a transistor made by Motorolla and has a more aggressive fuzz than the subsequent model with a brown circuit board. All versions are awesome but the green board version is highly sought after.